Disney Movie Rewards - What did YOU get? Re: Disney Movie Rewards - What did YOU get? I had over 4000+ points. Used it to get the Captain Marvel poster and the Captain Marvel Funko Pop. The page wasn't really clear if your going to get the Capt. Marvel regular one or the Chase edition. It actually shows pictures of both. We love typography, colors, and abstract designs. We aren't into faces, food, or logos and our team has strict cutting guidelines. We wash and cut the vinyl in our Los Angeles headquarters, creating unique designs for every product. Clearly, in your case, they lied. That's from the Rareform site, right? That's just regarding their normal bags, not this "limited edition" run they made for DMR. 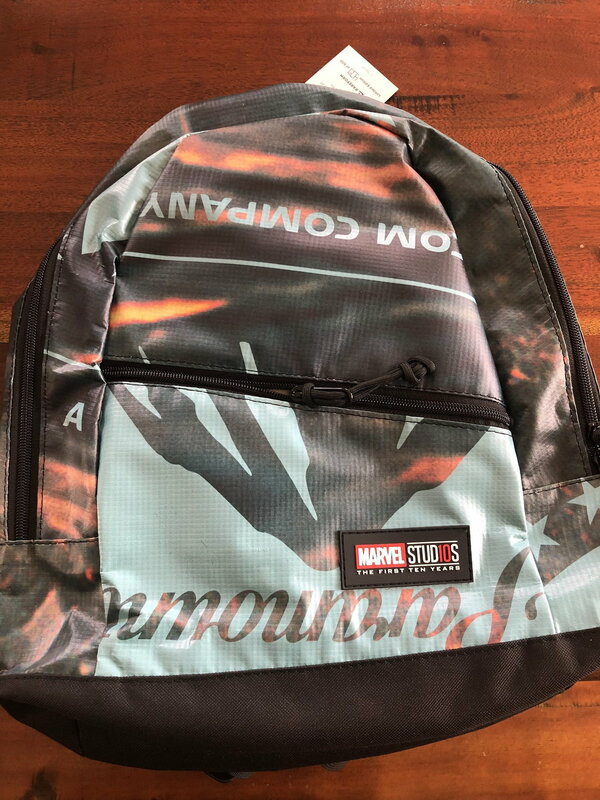 In fact, I'm guessing Disney/Marvel came to an arrangement with Rareform where they supply the billboards, Rareform uses the identifiable pieces for the DMR bags, and they can use the rest for their normal "abstract" bags. I think there might've been a miscommunication or the fact that some billboards had Paramount logos was just overlooked. Muddenjeep, if you're really unhappy with the bag, you can try contacting customer support. I doubt they could send you a replacement, but maybe you could return it and get your points back. On the other hand, it could become a collector's item, like the stamp with the upside down plane: A Disney item with a Paramount logo on it. Or maybe there's a Paramount exec who would buy it. It may be a nice bag, but if you can’t tell anything by looking at it (what movie, character, etc.) then it’s really pretty crappy for promotional purposes. The way that the Funko chases work is that they are mixed in at some allotment with the general population (whether that ratio is 5-1, 10-1, etc. can vary from figure to figure), and they only way to get a chase from an official outlet is to order one and hope to get lucky (which seems to be what they're doing here) or find it on the shelf in a store. If you want to be sure you get a chase, generally the only way to order one specifically is to order it from a reseller and pay extra for it. I may call, wish I could post a picture of it and see if others agreed with me or if I’m just being ridiculous. The other issue is I saved the points and paid for shipping, plus they probably have me pay to ship it back and I’d have spent $25 and have nothing to show for it. Crazy I can only post 2x every 24hrs! I think more functionality unlocks at 10 posts. If you want to email a pic to me, I can post it. I will send you a PM. Not what I'd expect either, but it is still pretty cool. for the creative repurposing of the billboard instead of it just ending up in a landfill. Kinda pricey though. That’s a cat, not a goose. Well then what the flerk is it? 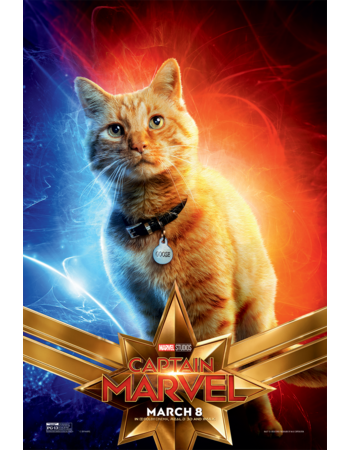 It looks like they added more Marvel blu rays (not 4K) to the rewards site. Point values aren't too bad either, most come in between 1000 to 1200. A big dissapointment - "The Preacher's Wife". I opened it to at least get the bonus movie points, no points inside. It I hadn't opened it I could have sent it back. Was hoping for something my 3 yr old grandson could watch.